Home > Auto Body Shop > Auto Parts > Auto Parts Dealer > Do You Have What It Takes to Restore a Vintage Vehicle? Did you drive a 1966 Ford Fairlane many years ago? Maybe you once owned a 1971 Torino and wanted to bring one of these classics back to life. You can clear some space, buy some vintage Ford parts, and start your restoration project, but are you really up to the task? Here are some things to think about before you begin, to help you decide on doing it yourself or letting someone else tackle the project. Do you have a lot of free time after work for restoring your car? Maybe you only work three 12-hour days a week, or you work a four-day work week. You may have plenty of time for bodywork and installing vintage Ford parts. However, some people put in long hours and have other responsibilities. Most restoration projects can take one thousand hours or more to complete. Suppose you plan to spend four hours, three days a week and eight hours on the weekend on your project. This is 20 hours per week and about 80 hours a month. At this rate, it takes over one year to put in one thousand hours. 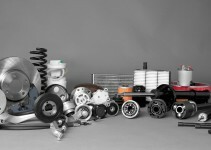 You may need a lot of parts to complete your restoration project. This is why you should make up a parts list and get prices. For affordable prices, consider an online source like Concours Parts & Accessories. 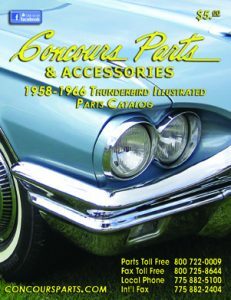 They specialize in vintage Ford parts and have many selections. You may have to give up a lot of family time when you restore your classic car. You should talk this over with your spouse or partner and other family members. Perhaps they want to get involved. It is important to have the approval of those close to you so you can avoid many common problems associated with relationships.